A team of researchers has created an accessible literature review of collegiate recovery studies over the past three decades to help institutions of higher education to better understand how to serve students in recovery. What makes collegiate recovery programs successful? How do they best serve students? What more should be done for students seeking an education and a full life in recovery? 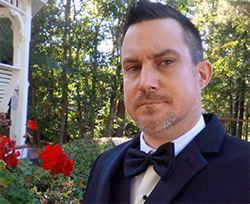 For the past five years, Austin Brown, associate director of research and programming at the Center for Young Adult Addiction and Recovery at Kennesaw State University in Georgia, and a team of researchers have been combing through three decades of studies on collegiate recovery to find the answers to these and other questions. Their goal: to create and update a readily accessible document that colleges and universities can use to better understand the benefits of collegiate recovery programs, how to develop them and how to build upon existing programs. 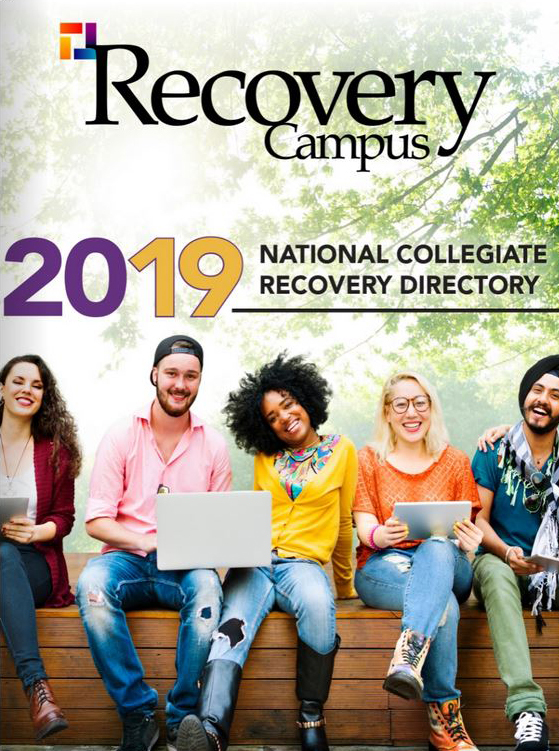 Their current version, Collegiate Recovery Programs: Literature Review from 1988–2017, presents a comprehensive analysis of the existing research on college students living in recovery, including the research on students in recovery participating in collegiate recovery programs (CRPs). The idea for the study originated while Brown, himself a product of collegiate recovery, was the graduate student chair of the Association of Recovery in Higher Education (ARHE) at the University of Vermont. 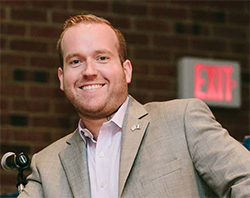 “We [ARHE] wanted to create an online, curated digital library with the literature review and an annotated bibliography that would be available upon request to help with startup collegiate recovery programs,” he says. For this current review, which can be found at RecoveryScienceJournal.org, Brown worked with a team of veterans in the field: Robert Ashford, doctoral student and graduate research assistant at the Substance Use Disorders Institute at the University of the Sciences; Anne Thompson Heller, doctoral student at the Department of Human Development and Family Studies at the University of Connecticut; Jason Whitney, doctoral candidate and instructor of education at the Pennsylvania State University; and Thomas Kimball, director of the Center for Collegiate Recovery Communities at Texas Tech University and president of ARHE. 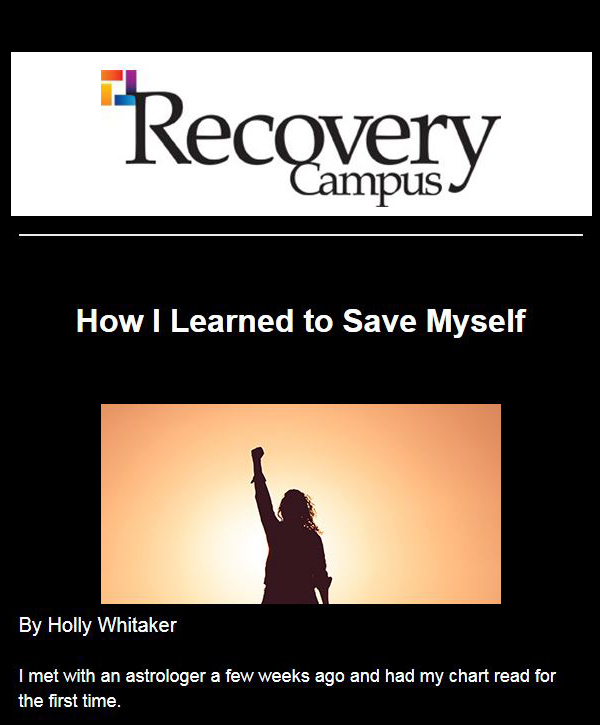 They studied 24 peer-reviewed articles, including archived dissertations, published between 1988 and 2017 that directly involved students in recovery on campus, either with or without involvement in a collegiate recovery program (CRP). Recovery Campus spoke with Brown and Ashford about the series of studies and what the latest literature review reveals about the state of collegiate recovery at U.S. institutions of higher learning. 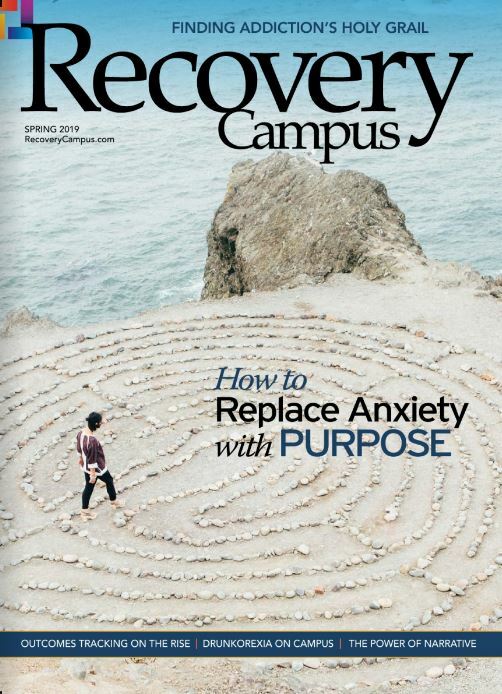 Recovery Campus: Why is a regular review of literature being published on collegiate recovery important? Robert Ashford: Every couple of years, it’s important to do an in-depth review of previous literature so professionals, practitioners, researchers and students can know where we came from, where we currently stand and where we should be going. We update this document every year and use it for other papers that we publish in peer-reviewed journals. This helps people in the field substantiate the development of programs that are beneficial to students and also bring awareness to the public. Because collegiate recovery is a new field with about four or five articles coming out each year, it’s important to update it regularly. RC: In what ways can the literature review be used? Austin Brown: From current research, it can be surmised that the enmeshment of education and recovery offers promising results — both for students in recovery and for universities. Increases in social capital seem to be at the epicenter of growth for individuals in recovery. When recovery is properly supported, individuals recover along stable and predictable trajectories. The largest studies to date have provided valuable insight into the recovering student population, as well as the potential benefits these students receive via participation in a CRP. Recovery quality and length and the potential for academic success seem to be positively enhanced by active participation in a program. RA: Collegiate recovery professionals can benchmark their programs against other programs in this review that are at the same stage or against more established programs to see how they are similar or different. They can use the report to learn about the best practices at successful programs that they might want to consider for their own, such as the benefit of peer-to-peer support, drop-in centers with 24/7 access, professional staffing structures and institutional funding for sustainability, as well as exploratory best practices, such as recovery housing for students. RC: What progress in collegiate recovery has your literature review uncovered? AB: The biggest progress is in the sustainability of programs. 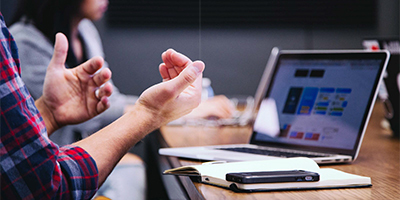 You had well-established collegiate recovery programs and startups, but for a long while, we did not see consistency in how to make the organizations sustainable. That said, it is a challenge for universities to justify budgeting several hundred thousand dollars in staff and infrastructure annually to support a program of 50 students or less. Creating a sustainable program is a balancing act for any institution. Some schools claim they want to support collegiate recovery programs but don’t, while others enjoy institutional buy-in all the way up to the board of regents. At Kennesaw State University, we supplemented the work being done in our CRP by expanding into research, prevention education and data-driven programming, which allows us to do work that is responsive to the students but also has some measurable outcomes. In our review, we saw an increase in interest from private donors who want to help further the idea of collegiate recovery, which assists in program sustainability. We also found that CRPs do well in middle-tier public universities, which serve students, such as those in recovery, who have experienced academic disruptions. RA: In a sense, one of the biggest takeaways from these studies is that just because a school lacks the financial resources doesn’t mean it can’t support these students. Our review shows schools have succeeded with limited funds. RC: What new types of studies are you seeing emerge? AB: There are more studies of postgraduate students who are products of collegiate recovery — a missing piece for a long time. For example, we reviewed a dissertation from 2016 that interviewed alumni who participated in a CRP and were between one and five years removed from their institutions. The author found that “combinations and configurations of various components of support” and the individual ways in which students balanced between autonomy and support within their peer support communities were important factors in whether they transitioned successfully after graduation. The author’s conclusion was that students should not get too lost in the insular “bubble” of their communities and that they should gradually increase their autonomy over time prior to graduation. This type of study further helps inform programs on the best supports for their students as they approach leaving the institution. The point being: How do CRPs deliver an individual who can go anywhere in the world, sustain their growth, protect their recovery and do well in life? Programming can be designed around this idea, and that is just one example. The next step is for researchers to perform large-scale, nationwide sampling that compares students who are in recovery but are not part of a CRP to students who are in a CRP. RC: What areas should researchers focus on in the future? AB: They should turn inward and look at the programming being offered in CRPs and if it meets the needs of students in a dynamic way. We need to ask: How do programs identify the needs of students in a timely manner and respond to those needs through proactive efforts? Students change semester to semester. CRPs need to be there to support the student, acting with, rather than acting upon, the student. Programs should track essential data on the students, such as health history, mental health history, academic history and treatment history. Every CRP should at least be keeping some form of a database on their students as much as they can in the boundaries of protected information. RC: What are some of the practical takeaways from this literature review? AB: One of the aspects that our literature review makes clear is that we are dealing with a unique population of students who live outside of the dominant cultural norm of higher education. We need to combine aspects such as environmental theory and educational literature to determine how we can support these students in both their educational needs and recovery needs. Currently, the recovery needs get focused on more than the educational needs. If you look back over the literature review, the biggest take away is that CRPs work. No one would have imagined 25 years ago that education would stabilize recovery and increase recovery capital and that CRP students would make better college students. No one would have intellectually combined these things. One interesting study we reviewed from 2016 reported that more than one-third of the students it surveyed affirmed they would not be in college if it were not for CRPs, and 20 percent affirmed they would not have attended their present university without the CRP. This study also highlighted that students in recovery feel that college life directly challenges their sobriety. At the institutional level, we see that CRPs can enact retention, progression and graduation tracking of students, as well as capture demographic information, treatment, substance use and academic histories. As demonstrated by past research, qualitative data derived from student recovery experiences and educational needs can help design programming and structures of CRPs to be more responsive to the needs of students in recovery. RC: What trends did the literature review reveal? RA: When we started this work, studies were more about substantiating and defining collegiate recovery endeavors. Now, we are starting to see more studies that focus on more narrowly defined research topics, such as what collegiate recovery does for students and the mechanisms of the programs. We also are seeing the emergence of exploration on ancillary topics, such as recovery programs that also support mental health recovery and disordered eating among the collegiate recovery population or qualitative work on coping mechanisms among students. RC: What gaps do you see in the research? RA: Researchers have not had the ability to perform large randomized studies on collegiate recovery, which is largely due to a lack of federal or private funding. Thus, we don’t know much about the efficacy of the programs on a larger scale. Although we know that students in recovery who are part of a program are successful — these students have higher-than-average GPAs, higher-than-average retention rates and tend to stay abstinent — we don’t know much about how students who are a product of CRPs compare to students in recovery who were not part of a formal program. Are these academic and personal successes byproducts of a person being in recovery or being in recovery and being part of a CRP? We need to be able to identify what the actual relationship is in terms of how beneficial these programs are to students in recovery. There is a larger question, too, about how a CRP impacts the entire campus environment. For example: Do they have an impact on binge-drinking rates, or counseling and psychological services and referrals? Do they help initiate recovery as well as help people maintain their recovery? What is the overall impact on the campus culture? RC: What strides have you seen in collegiate recovery through your review of the studies? RA: Collegiate recovery is now much better defined and is becoming a legitimate field. We have seen the programs grow at an exponential rate over the past 10 years. Specifically, we have seen a drastic increase in emerging programs in the past five years. As part of our most recent work, we identified about 160 established programs and more that are in various stages of development. The literature and the research is one reason why the field is growing. RC: Where do you see studies of collegiate recovery heading in the future? AB: We’re trying to break off recovery science from addiction science. The term we use is “recovery- informed science,” which is more targeted. For example, there is a huge gap between my personal experience in recovery and what I was taught from textbooks. Theories in textbooks do apply in some aspects, but they do not encompass everything. There was a lack of recovery-informed approaches in the scientific lines of scientific inquiry. One of my goals is to take the subjective experiences of people engaged in successful recovery and then work backward to see how this success came to be and then design systems that would make similar successes a possibility for more people across a variety of population. RA: As the field grows and becomes more incorporated into science, we are starting to see real research questions asked and answered. So, 20 years ago collegiate recovery was emerging, 10 years ago it was an infant science and now we are starting to see it grow up as a field. Given the explosive growth of CRPs and the ensuing nationwide push to establish CRPs and recovery supports on college campuses, it is likely the future will present many opportunities for recovery researchers. RC: What is important for students in recovery to know when reviewing this literature? RA: Many of the people who work in collegiate recovery and do research in the field are in recovery and found success in collegiate recovery programs — like me, like Austin. As the field continues to grow, the researchers who pick up the mantle are going to be the students who are in these programs now. I’m putting a call out for what we term “recovery scientists.” We should always be encouraging students to push this field forward so we can collectively make a change for generations to come. Note: For access to the digital library of CRP articles and an annotated bibliography, readers can request access at abrow563@kennesaw.edu.